Thousands Greeks and immigrants participated in a protest organized in Athens to oppose the agreement between the European Union and Turkey for immigrants, which aims to stop the tide of undocumented migrants to the EU. 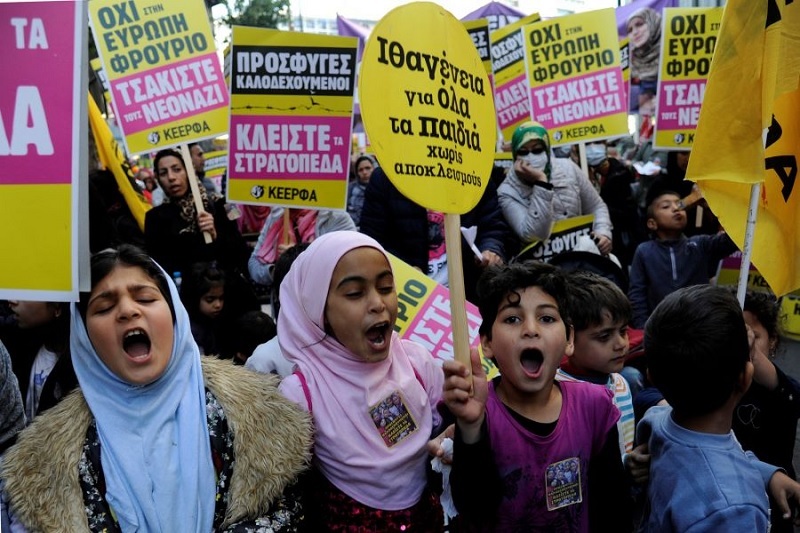 A year after the agreement came into force, protesters got to the streets of the Greek capital and marched toward Greek Parliament and the offices of the European Union, calling for the opening of borders. Under the agreement, anyone who goes to Greece without documents can be deported to Turkey, as long as they do not qualify for asylum in Greece.